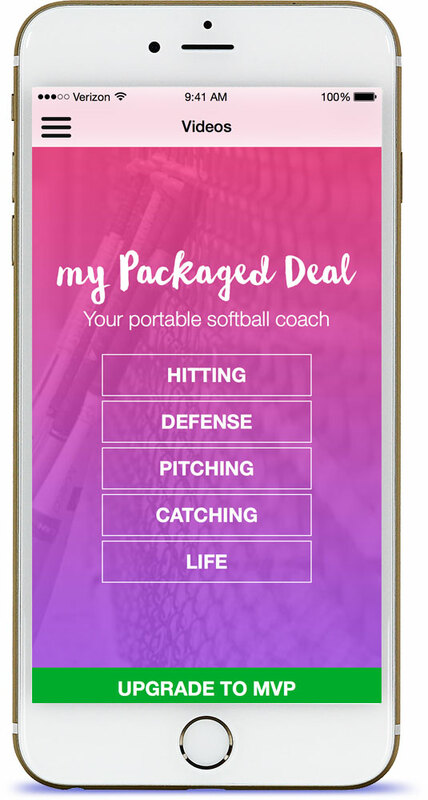 This iOS app from the girls at The Packaged Deal will help you learn softball anywhere, anytime. You can watch videos about pitching, catching, defense, hitting, and important life lessons. You'll get ten free videos with the app, and with an upgrade you unlock all of the videos, insider tips, and new content every month. We are a group of professional softball players who use our passion for the game to positively impact lives both on and off the field. You can learn more about our camps & clinics here. Copyright © My Packaged Deal. All rights reserved.